When you are shopping for new window treatments for your home , you will have many options to choose from. From luxurious carpets to formal curtains, the window treatments that you choose will have a dramatic impact on the look and feel of your interior spaces. If you are seeking a durable and energy-efficient option for your window treatment needs, you may want to consider shopping for window blinds in Mt. Vernon. To highlight the advantages of installing window blinds in your home, here is a look at the benefits of these types of window treatments. Window blinds will provide you with incredible control over the amount of natural light that enters your interior spaces. 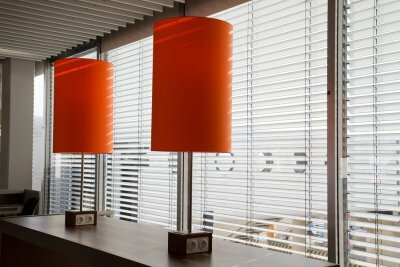 If you would like to add sunlight to an interior space, you can simply adjust your window blinds so that they are open. To provide a space with a cozy feel, you can pull a cord and close your window blinds. If control over natural light is a priority to you, you may want to choose window blinds for your home. As you are shopping for new window blinds for your home, you will have an amazing array of styles and colors to choose from. Window blinds are available in a rainbow of colors, so your new window treatments can be styled to match your interior décor. With materials such as wood, vinyl, and bamboo, you can also choose a window treatment style that matches perfectly with your taste. After you install new window blinds in your home, you will be amazed at the great level of privacy that your window treatments have to offer you. Since window blinds are able to cover every surface of a window, you can rest assured that your interior spaces are completely protected from the outside world. Once you have decided that window blinds are the right choice for your home, be sure to visit a showroom offering window treatments and flooring near you.